There is a growing focus on embracing technology that contributes in accelerating agriculture growth and address the challenges of a growing population, rapid urbanization and the larger agenda of food security. RMSI provides technical and consulting solutions to government and private enterprises engaged in agriculture and insurance. We provide integrated agri-intelligence solutions for the agri-value chain and address impending issues like food security, sustainable livelihood development and climate smart agriculture. We have a multidisciplinary team comprising of agronomists, pedologists, entomologists, plantation experts, agri-economists, agri-statisticians, soil and livelihood experts. 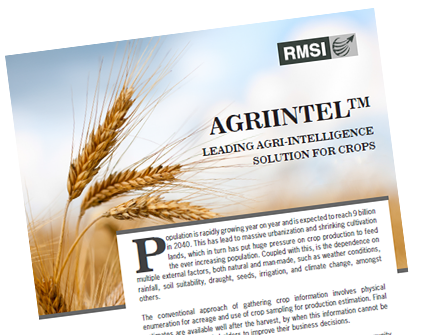 RMSI adopts a conjunctive approach of using geospatial technology and statistical methods coupled with field surveys to deliver agri-solutions in a quick turnaround time while maintaining the highest quality standards, thus, translating into optimal cost savings for the client. RMSI develops agriculture resource information systems using satellite imagery coupled with field inputs and generate spatial databases of agricultural attributes such as acreage, cropping pattern and yield. These databases are regularly updated and monitored using satellite imagery and there is further ground truthing based on field survey. Our climate change experts provide assessment of climate change induced spatio-temporal shifts in natural ecosystems and agro-ecosystems using internationally recognized natural and agro ecosystems modeling approaches. We also help our clients in understanding the implications of these changes for their development planning. Are you using science based intelligence to respond to future challenges in agriculture? RMSI develops integrated crop loss models that can support the needs of the primary Insurers, brokers as well as reinsurers. Conventionally, crop insurance schemes were based on anomalies in the crop yield or they correlated anomalies in weather parameters directly to yield loss. 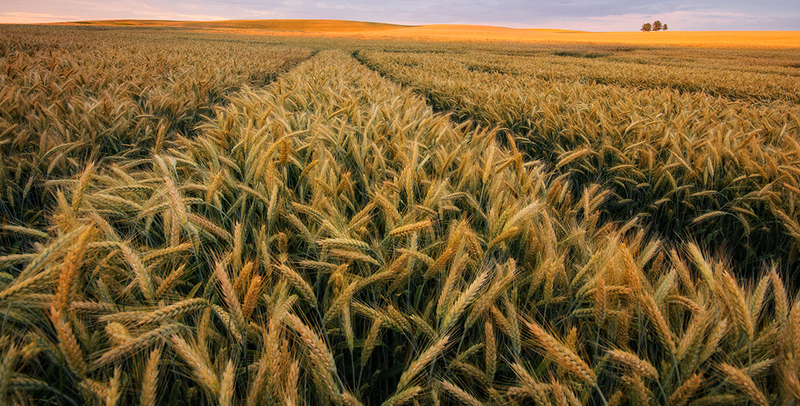 RMSI models follow a proprietary integrated crop insurance product design framework (based on both yield and weather) that helps in settling claims much faster. The model provides facility for coverage add-ons that help cover additional aspects for the beneficiary such as medical expenses, tractor breakdowns, tube well breakdowns, etc.